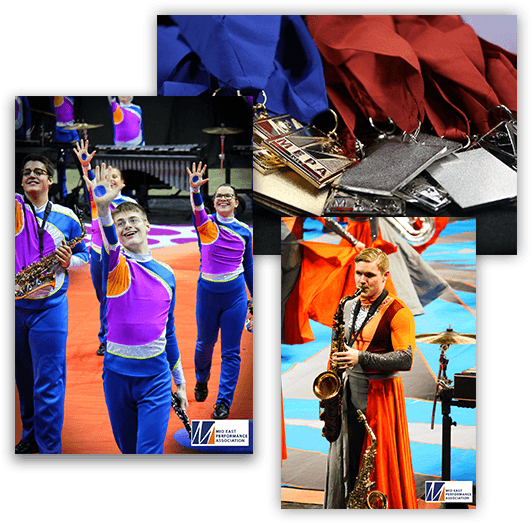 The Mid East Performance Association (MEPA) is Ohio’s premier winter performance venue for winter guard, indoor percussion, and marching wind ensembles throughout Ohio and surrounding areas. With more than 100 member and guest units competing each weekend between the months of January and March, MEPA will have an impact on more than 2,000 performers and 8,000 spectators. Feb 2019 | Miamisburg HS, Northmont HS, Fairfield HS, Westland HS, Bellbrook HS, Butler HS. Mar 2019 | Wright State University's Nutter Center, Centerville HS, James S. Trent Arena, Hamilton HS, Westerville Central HS. We invite you to learn about MEPA.